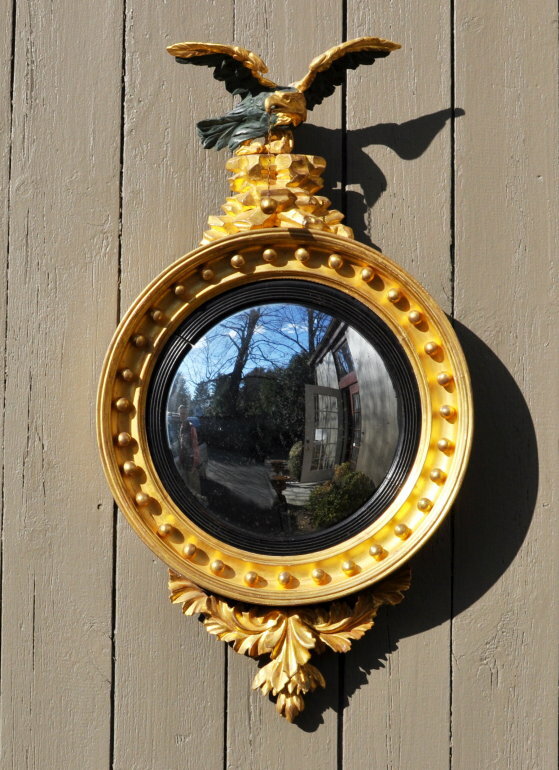 Fine American classical carved and gilded convex mirror, with verte decorated and gilded eagle surmount on a rockery, circular cove molded frame with inset gilded spherules, and foliate base mount. Minor repairs consistent with age. Probably New York, circa 1815-20.